Spanish giants Barcelona are highly interested in Liverpool’s Brazilian playmaker Philippe Coutinho, and believe they can secure the talented player’s services to fill in the void left by Neymar. Barcelona’s pursuit of Coutinho has also gained more solidity, as reports state the Liverpool ace is trying to force his way out from Anfield and ply his trade in Spain. According to a report in Yahoo Sport, Coutinho has told manager Jurgen Klopp that he is keen to move on, and has held direct talks with the latter. The playmaker has been a primary target for the Catalans, as they believe the 25-year-old will be a crucial addition and thrive alongside Lionel Messi and Luis Suarez. After the departure of Neymar in a world-record move to Paris Saint-Germain, Barca want to make a statement of intent by signing a player with a high calibre, with Coutinho being a proven entity in the Premier League. The Spanish club are desperate to match the intensity of arch-rivals Real Madrid by snatching back La Liga and put a stop to their Champions League glory that has been phenomenal in recent years. 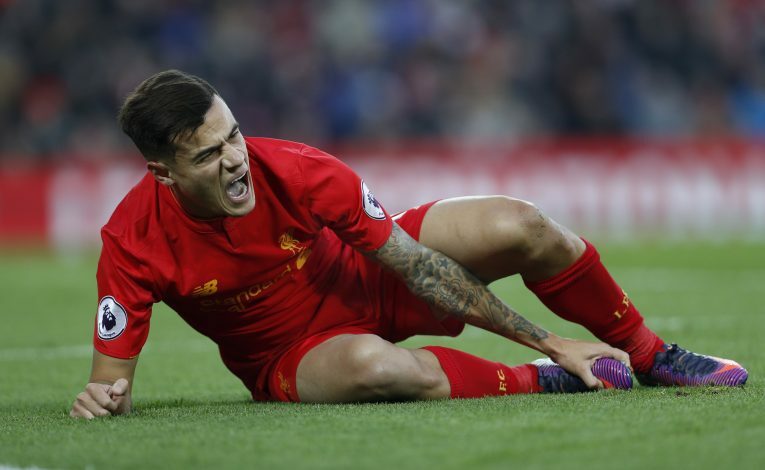 Neymar’s exit has served as a bitter blow, but manager Ernesto Valverde can get out the maximum from Coutinho, who is a regular for both Liverpool and national side Brazil. Meanwhile, Liverpool aren’t keen to lose their main man, and Klopp stated recently that they will not sanction any move. Reports suggest that Coutinho is miffed at his German boss for not paying heed to his wishes, and has not lived up to the mark in the pre-season training. Barca will hope to come back with a bigger offer, after seeing an initial €80 million offer for the player get rejected last month. Coutinho has spent a lot of time at Liverpool since his move from Inter Milan back in 2012. He has gone on to play 182 games for the Reds, and has mustered 42 goals. A move to Barcelona will definitely improve his goal tally, and the prospect of featuring in an attack comprising of Messi and Suarez is something he wouldn’t want to miss. Barca are also said to be monitoring Chelsea’s Eden Hazard and Borussia Dortmund’s Ousmane Dembele, although their heart is said to be more inclined towards Coutinho.